Man-Ape celebrates upon hearing that T’challa has been taken down. His people then inform him that an attacker approaches. In the present the only survivor of the massacre tells Wakanda head officials of what happened. He seeks refuge in exchange for this warning. They prepare for the worst. 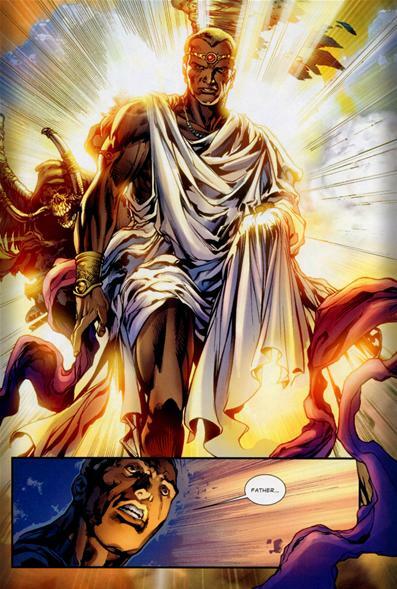 In Limbo death tries to coerce T’challa to go to the afterlife by using his father T’chaka’s image. our hero sees through the deception. 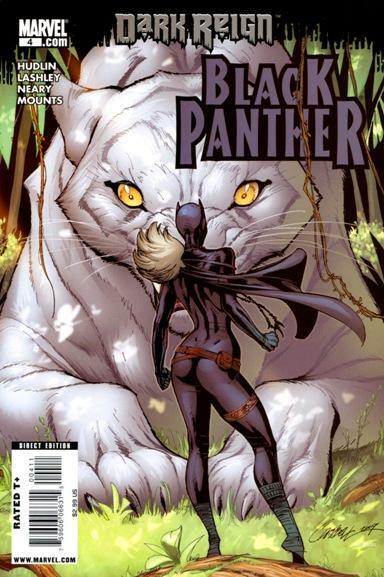 Storm undergoes a spell to save T’challa from Limbo while Shuri prepares for judgment from the Panther God. 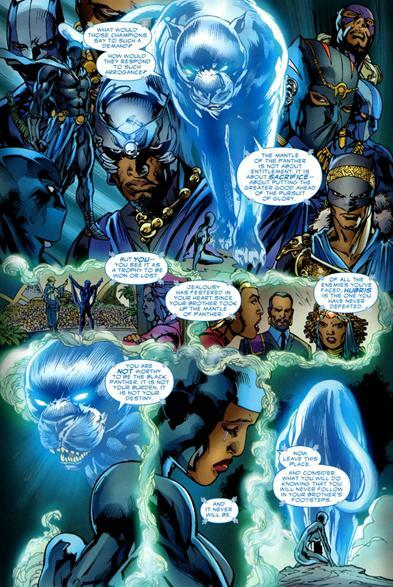 Bast (The Panther God) rejects her because of her pride and in Limbo T’challa faces deaths endless horde as he tries to return to life, just as he is overwhelmed Storm arrives! Fast paced action packed Issue where the stakes just keep climbing. Interesting twist with Shuri being rejected. Great art and colors which only add to the mounting tension! Mostly set up for a conflict with Morlun come next issue.